Our Editor is in the news again. Featured on MyPaper on 25th September 2012 on Page 7. The article is reported by Maureen Ow from SPH. 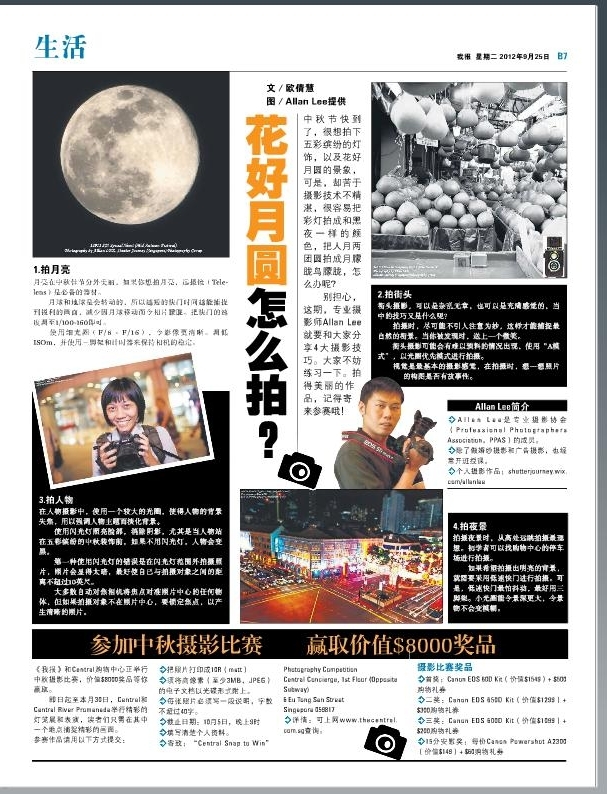 This mandarin feature is about Photography Tips on Mid Autumn Festival. This entry was posted in Featured Photographers, Group Announcements & Notices, Photography Articles & Videos, Photography Magazine, Uncategorized and tagged Allan Lee. Bookmark the permalink.